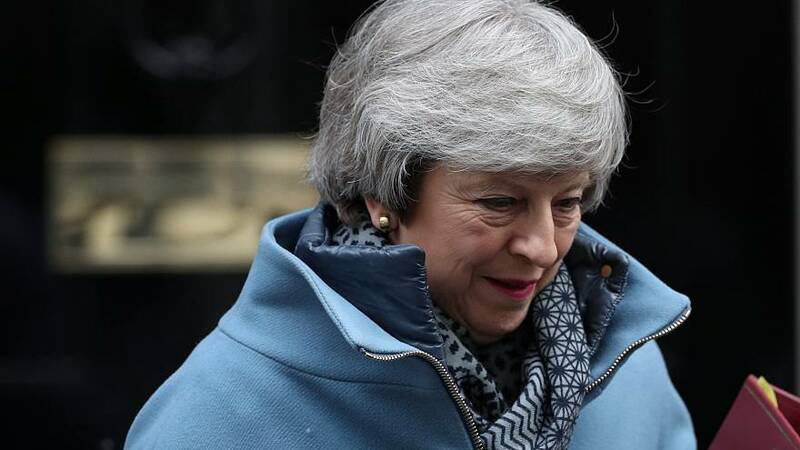 British Prime Minister Theresa May faced questions in parliament on Wednesday amid growing pressure from MPs after it was reported that her top Brexit aide, Olly Robbins, was overheard in a Brussels bar saying lawmakers face a long delay to Brexit should they reject her deal. When the subject was raised, Scottish National Party (SNP) MP Ian Blackford said to May: "You've been rumbled by your own loose-lipped Brexit adviser." The prime minister said she was glad to have been asked about the reports "rather than relying on what someone said to someone else as overheard by someone else." May reiterated that the government had not changed its position on Brexit and that it does not want to delay the UK's March 29 exit from the European Union. "We triggered Article 50 and that's what we are striving to do. We want to leave with a deal and that is what we are working for," she said. Blackford said this was "no answer", arguing that it was the "height of arrogance" that the Conservative Party was trying to "run the clock down" to Brexit. "Businesses are begging for certainty," he added. "The economy is already suffering. Prime Minister, you've come to the end of the road." In the case of a no-deal Brexit, May said the government would prioritise medicines being brought into the country. "That is a sensible approach from a government that is taking this seriously," she said. Opposition leader Jeremy Corbyn said the government should take no deal off the table, as the House had indicated in its recent vote. May responded by saying the Labour leader had not made clear what scenario he backs concerning Brexit, accusing him of preferring `"ambiguity and playing politics to putting the interests of the country first." May also said free trade opportunities were important. International Trade Secretary Liam Fox said some agreements have been signed, while others were at an advanced stage. For countries where an agreement could not be arranged by exit day, Fox said there would be contingency plans, adding that EU trade agreements "will go down to the wire" because "that's the way countries do business". Corbyn called the government's handling of Brexit "costly, shambolic and deliberately evasive." He went on to ask "what went wrong?" concerning the "fiasco" of Seaborne Freight — a company that was picked to provide ferries to transport goods in the event of a no-deal Brexit but had its contract revoked. May said "due diligence" was carried out concerning all contracts and said "capacity" would be there for freights in such a situation. Referencing the UK's first ever conviction for FGM, an MP asked if the prime minister would support a bill to protect young girls from FGM — May called it an "abhorrent crime that scars young girls physically and mentally" and said there will be time to discuss a bill. You can watch the full session of PMQs in the above video player.